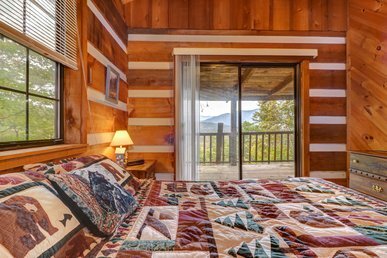 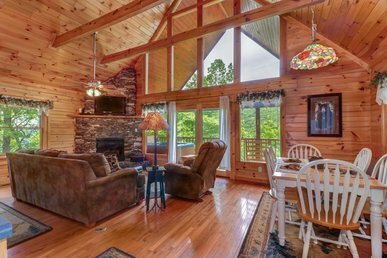 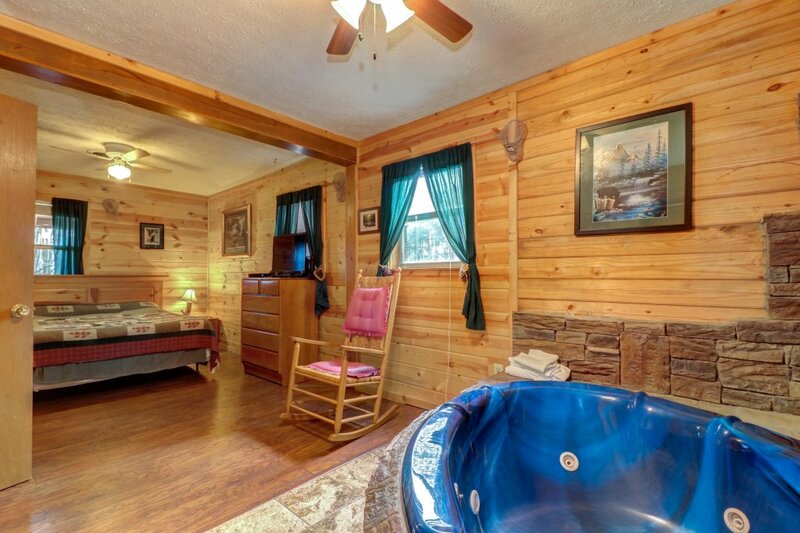 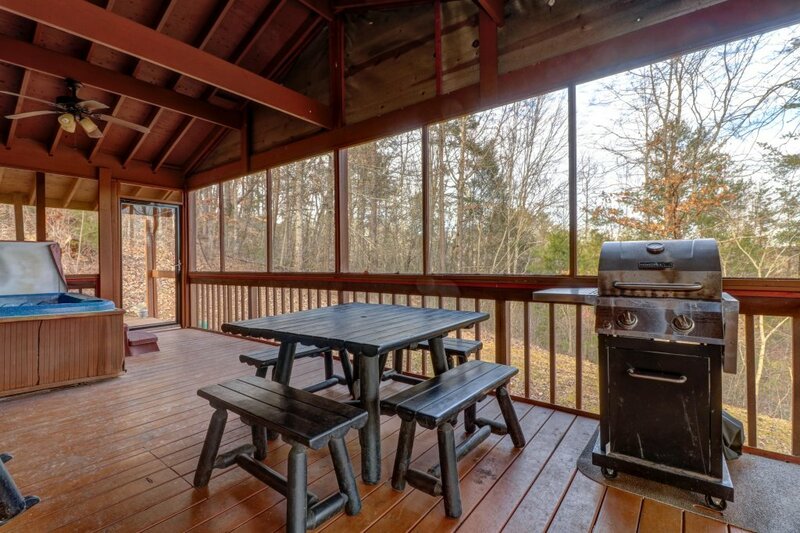 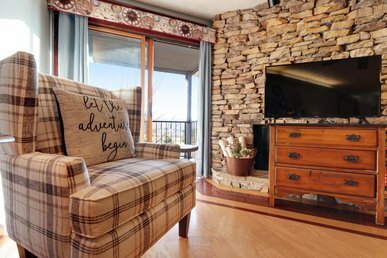 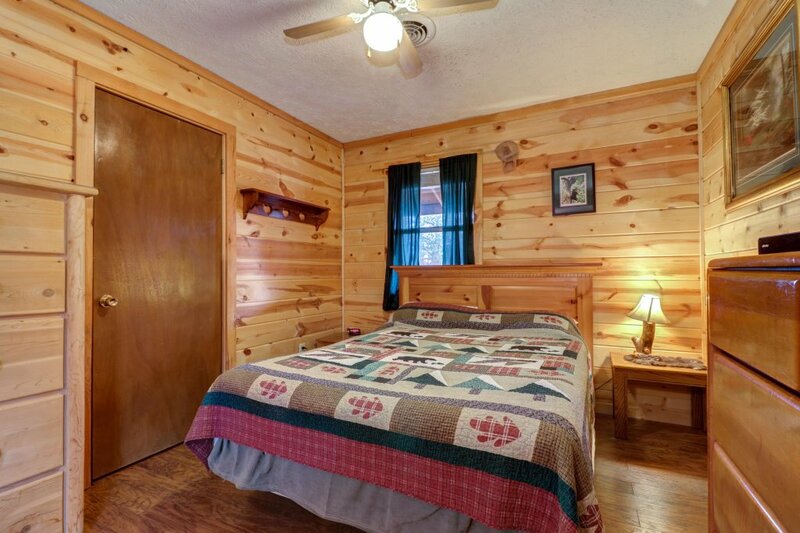 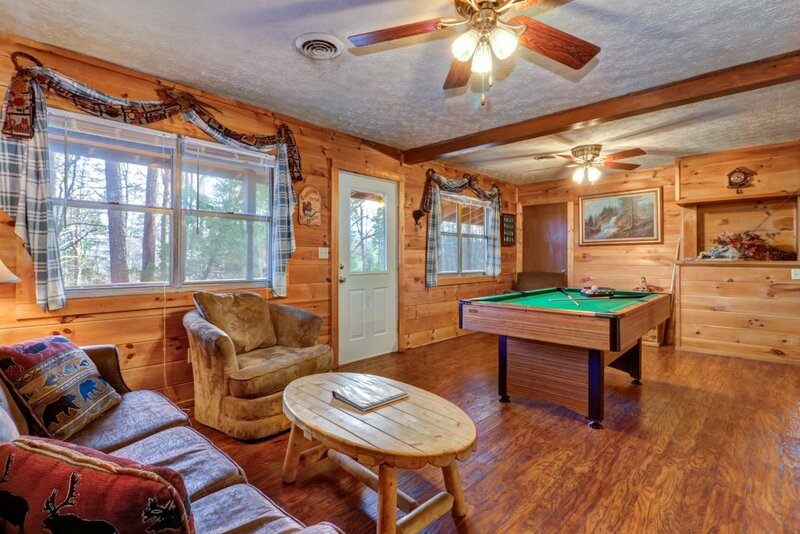 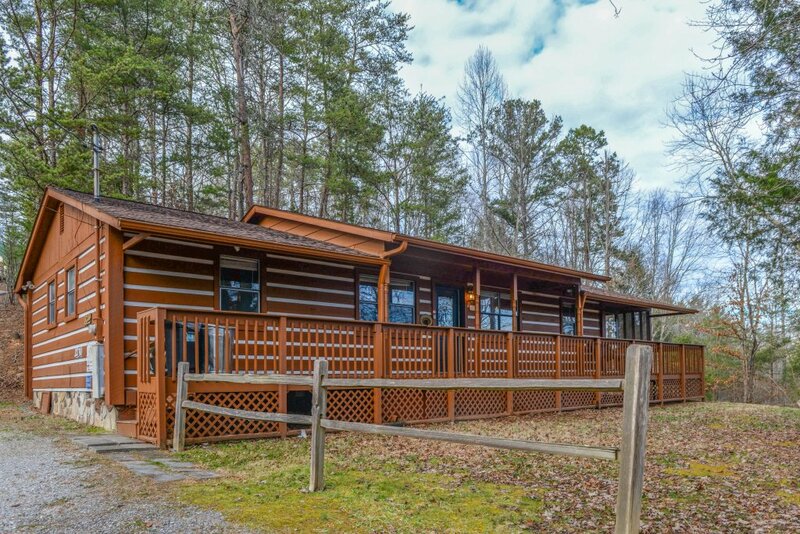 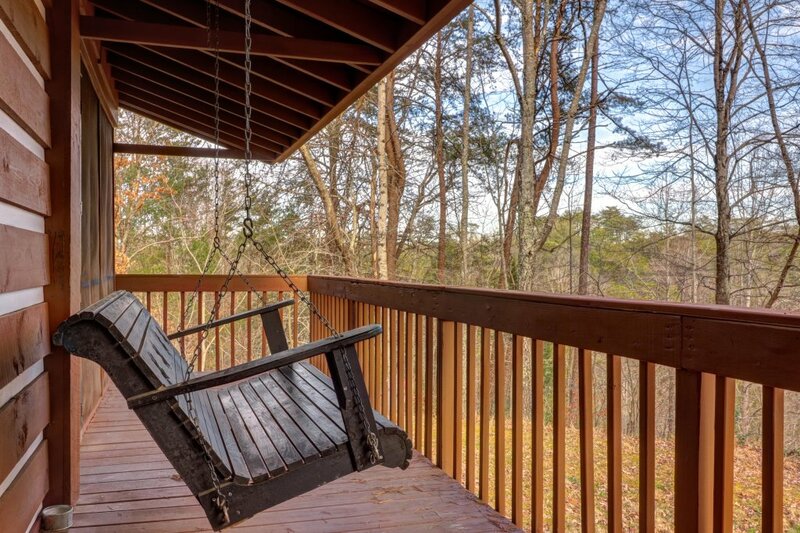 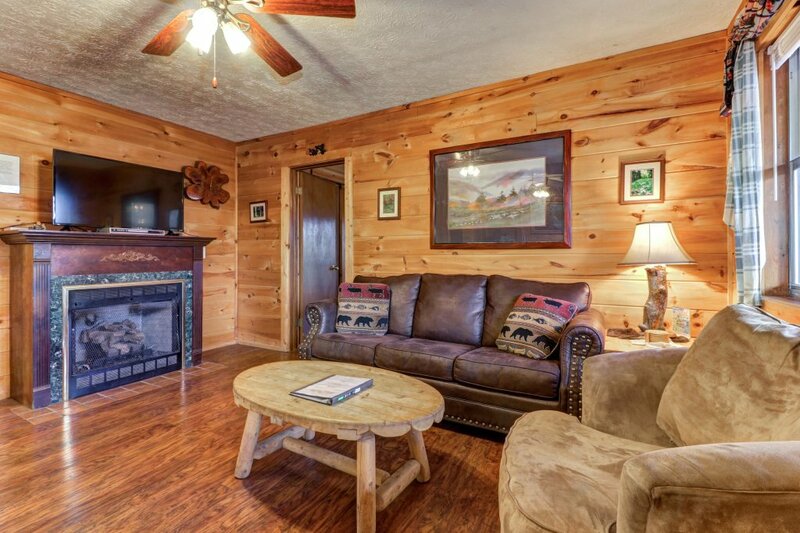 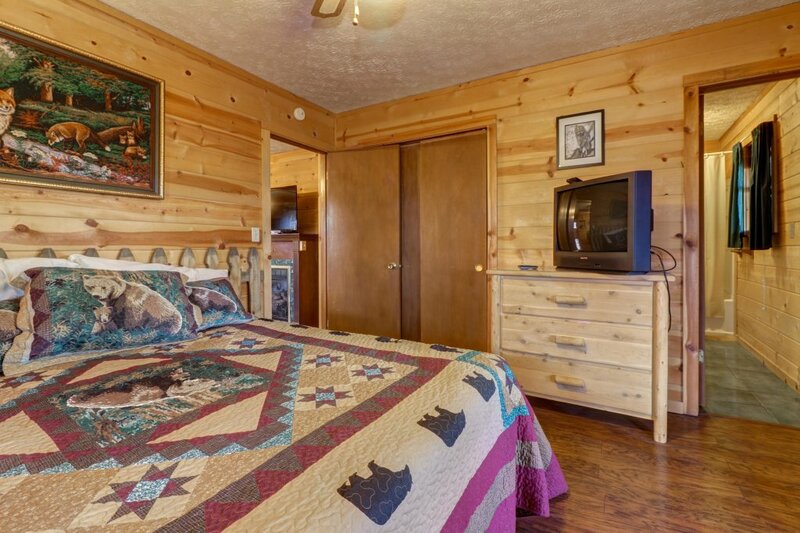 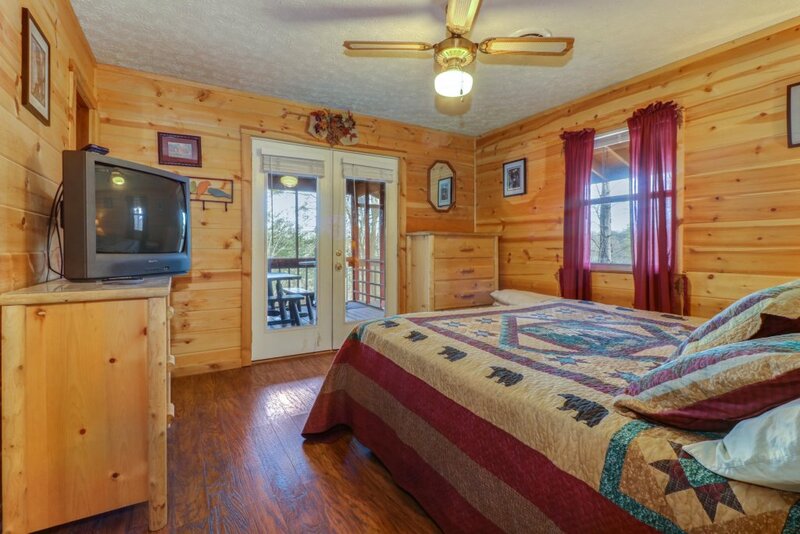 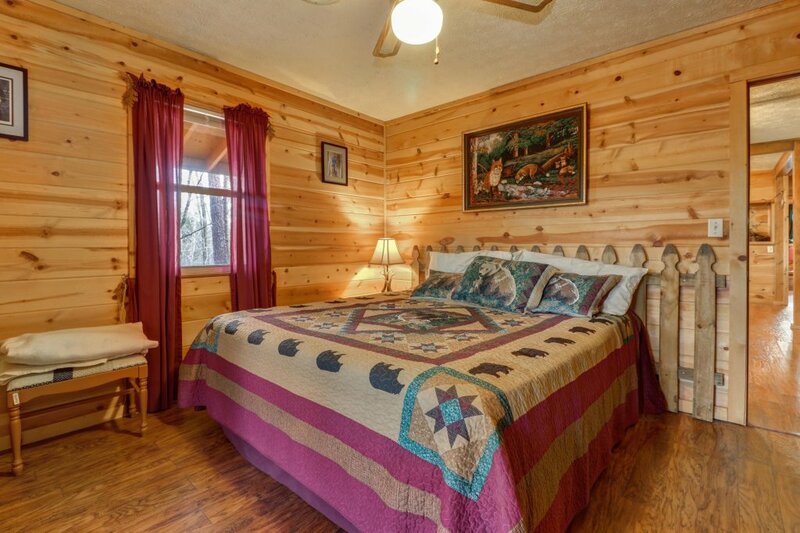 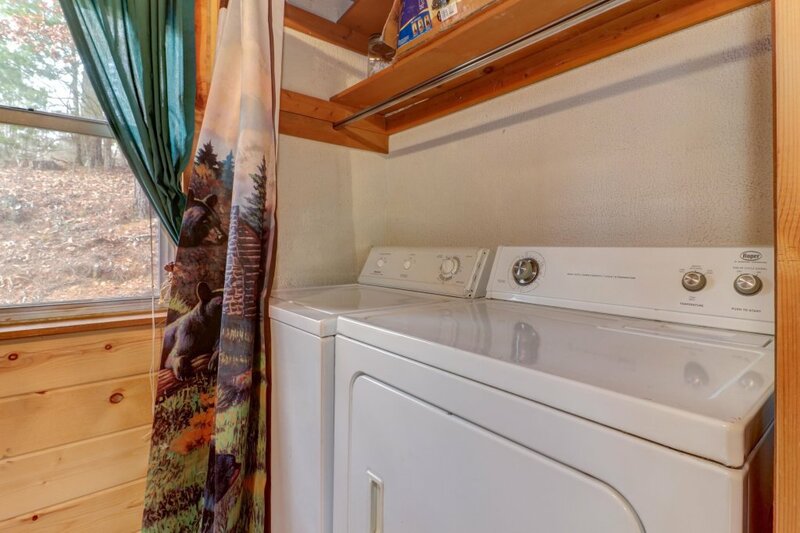 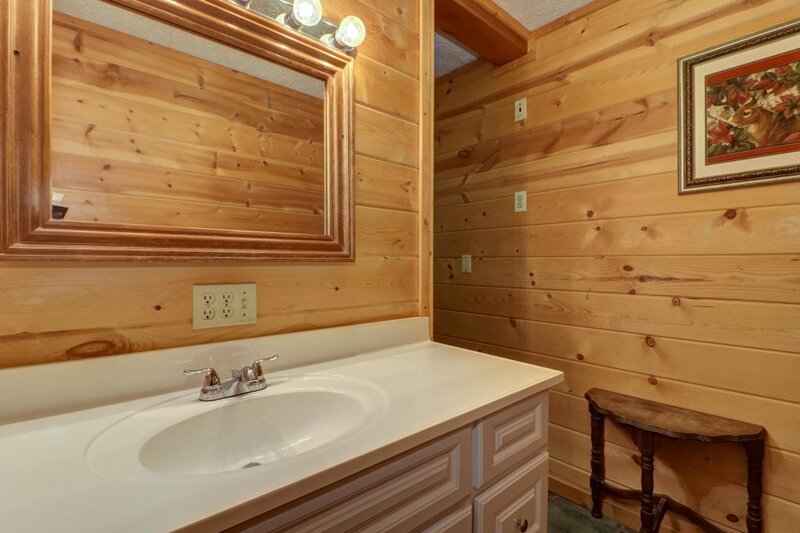 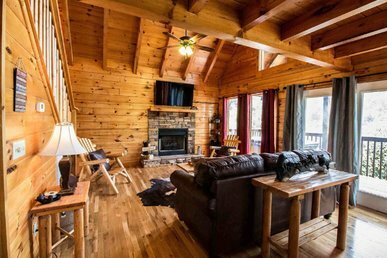 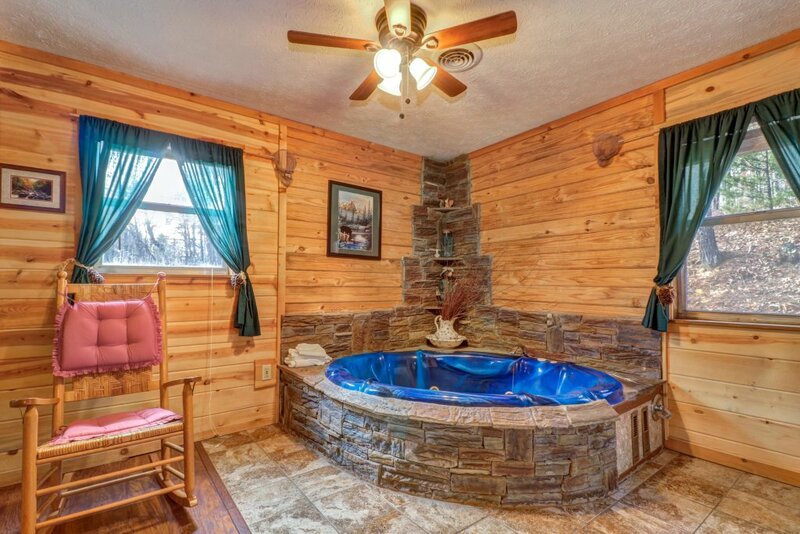 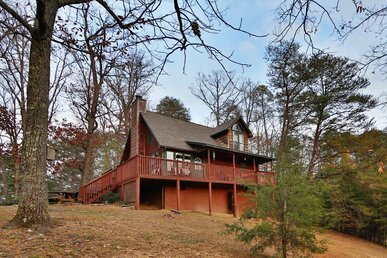 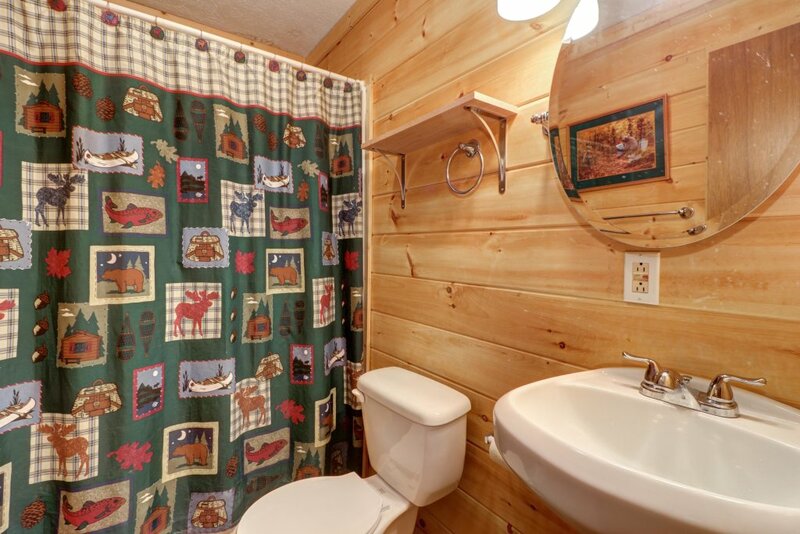 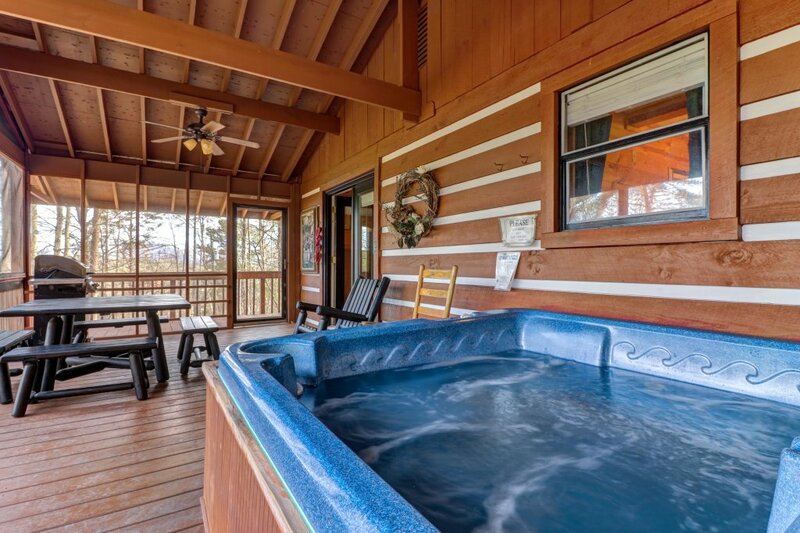 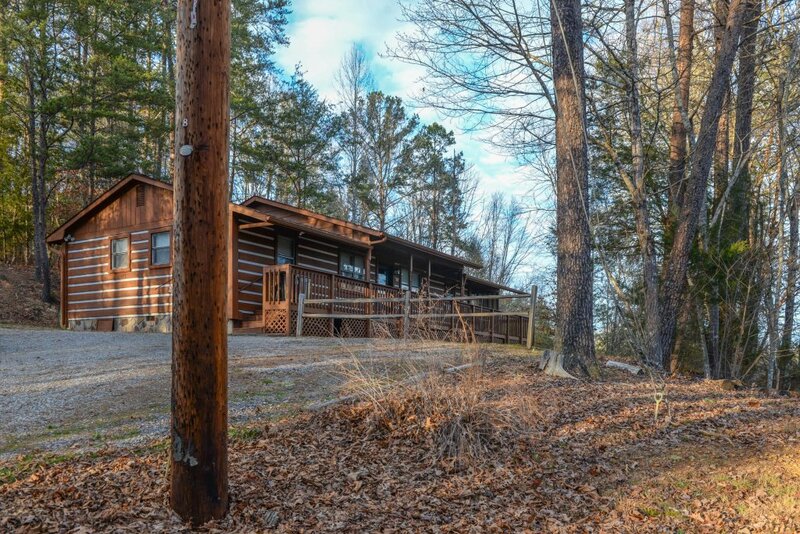 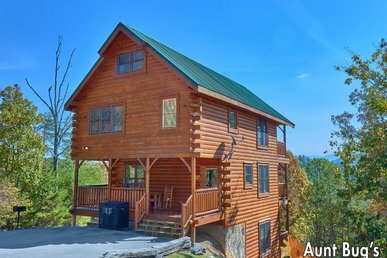 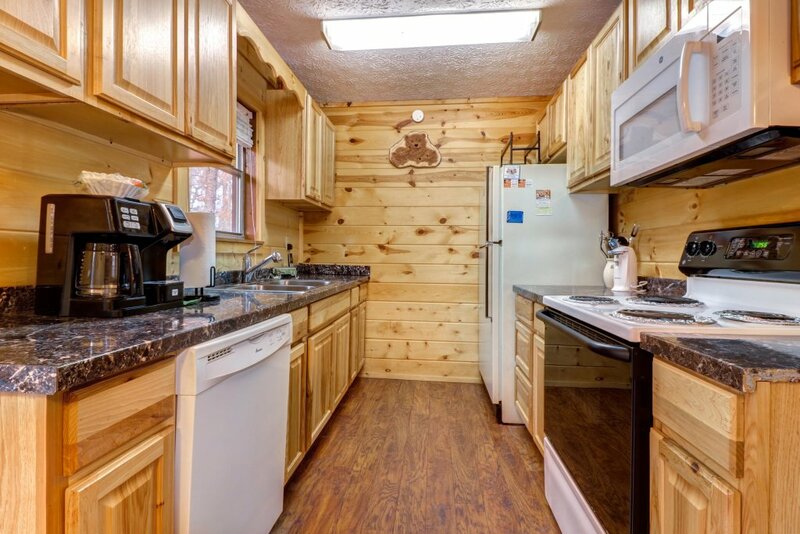 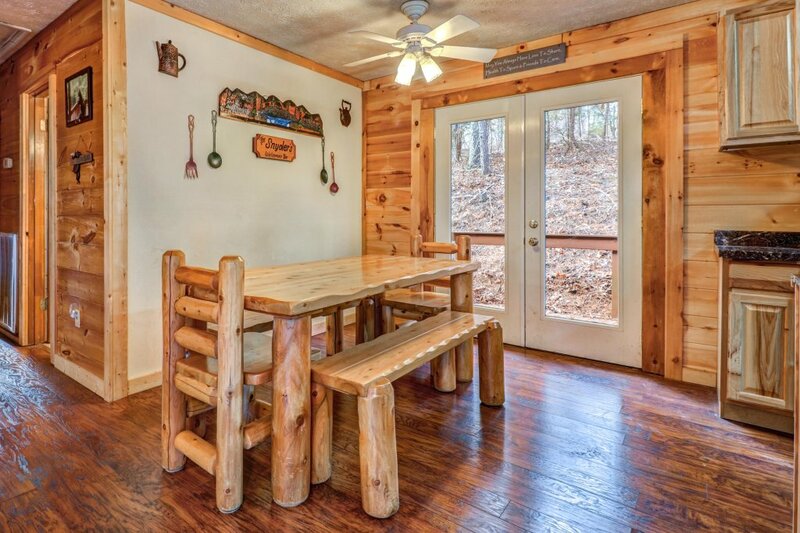 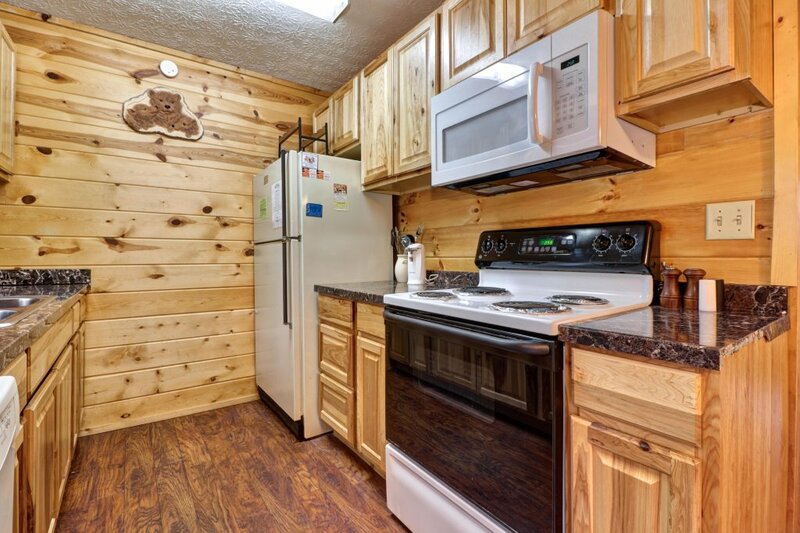 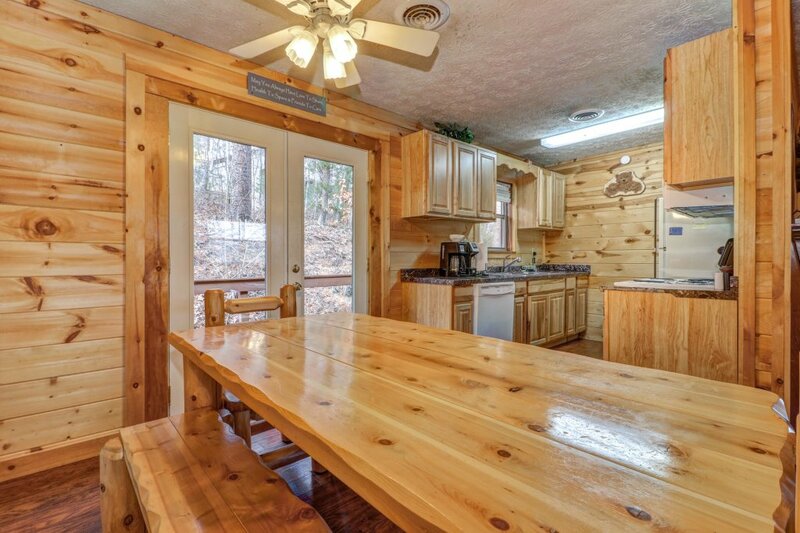 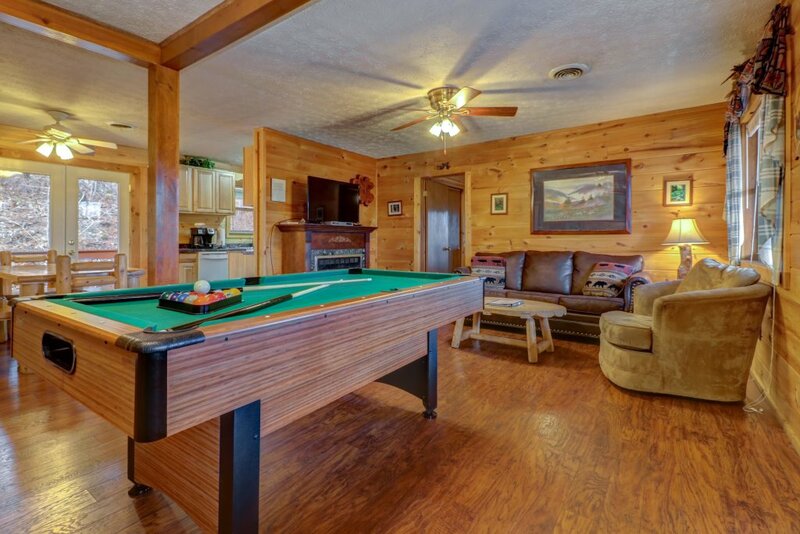 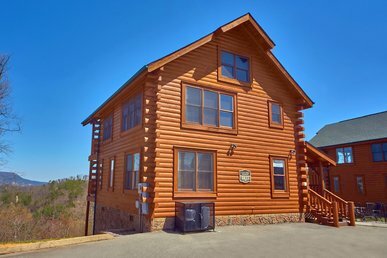 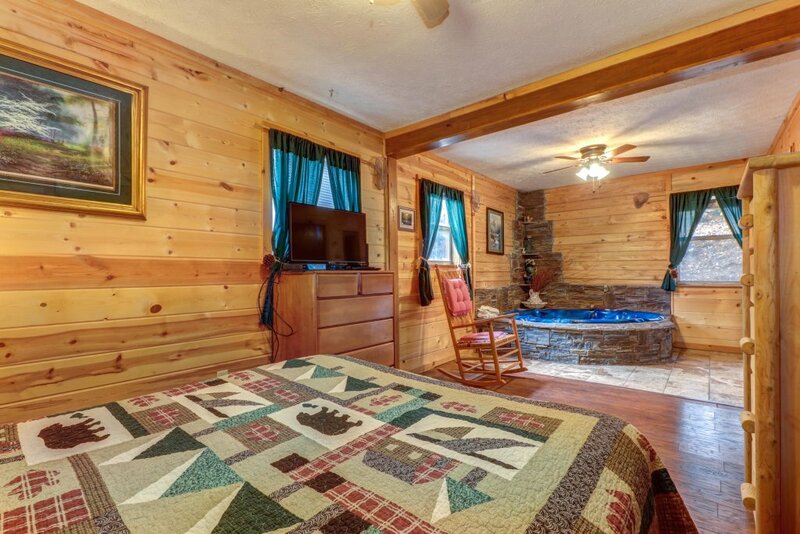 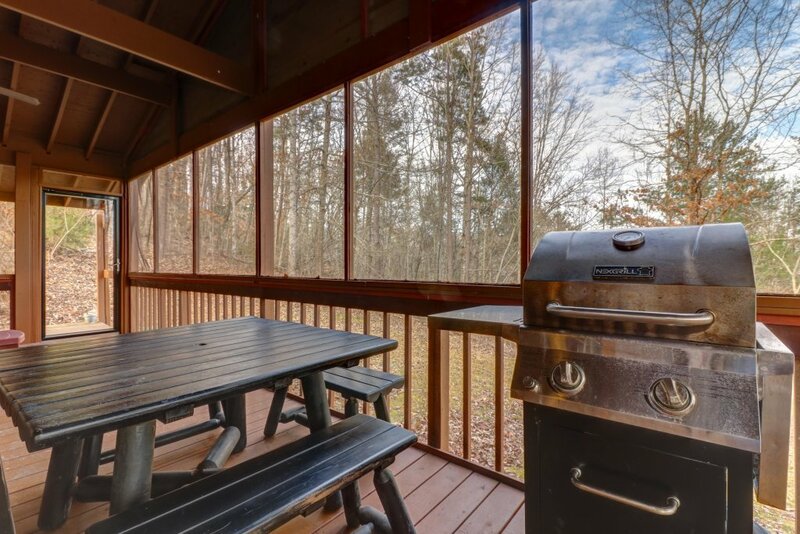 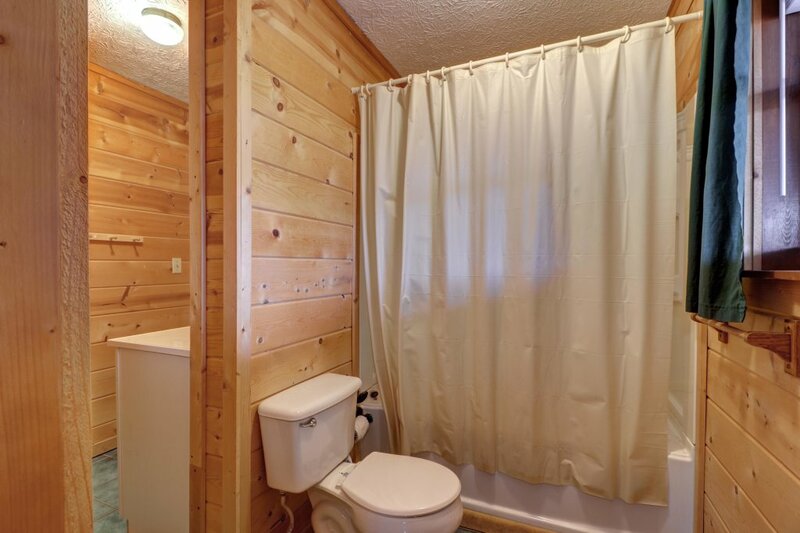 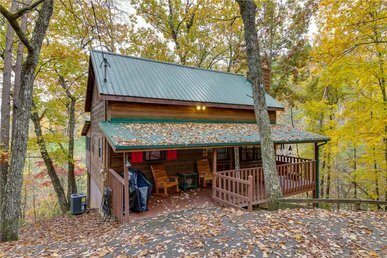 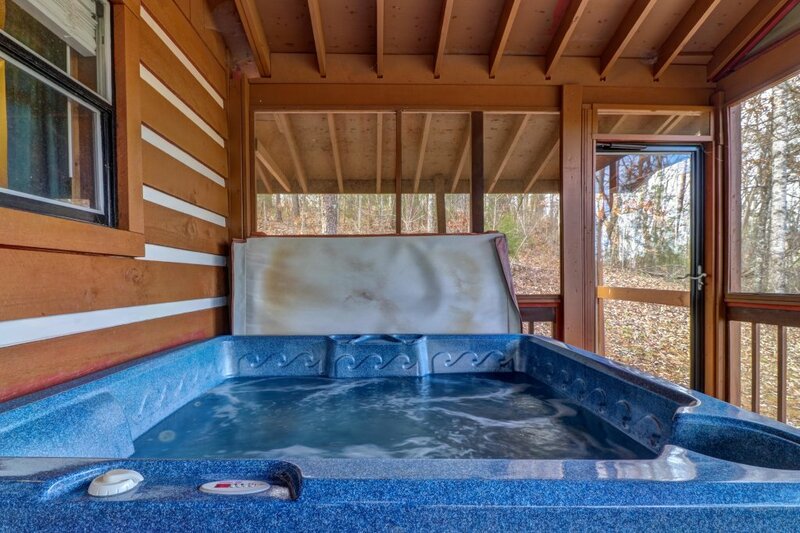 Make endless vacation memories at this cabin in Sevierville, offering a private hot tub overlooking the trees, a pool table for testing your accuracy, and a gas fireplace for warming up after a day of adventures. 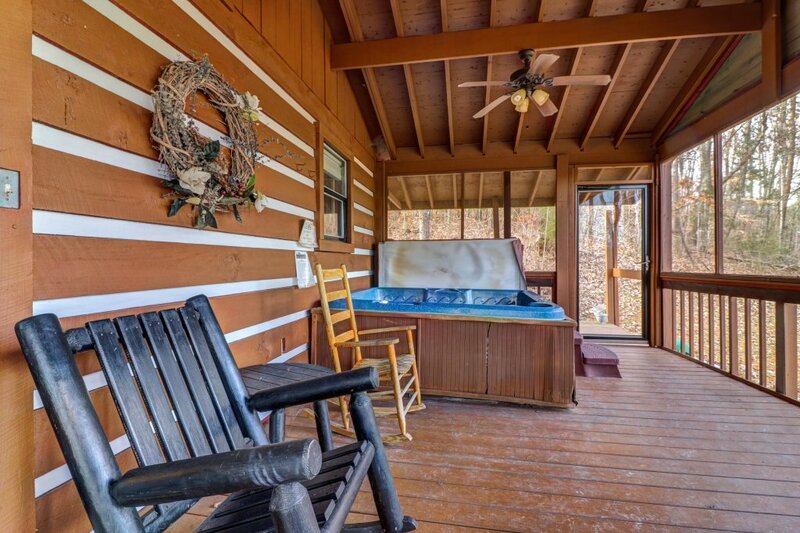 Whether you're curled up with a book in the living room, soaking in the jetted tub, or watching movies on the flatscreen TV, this home provides plenty of relaxing activities. 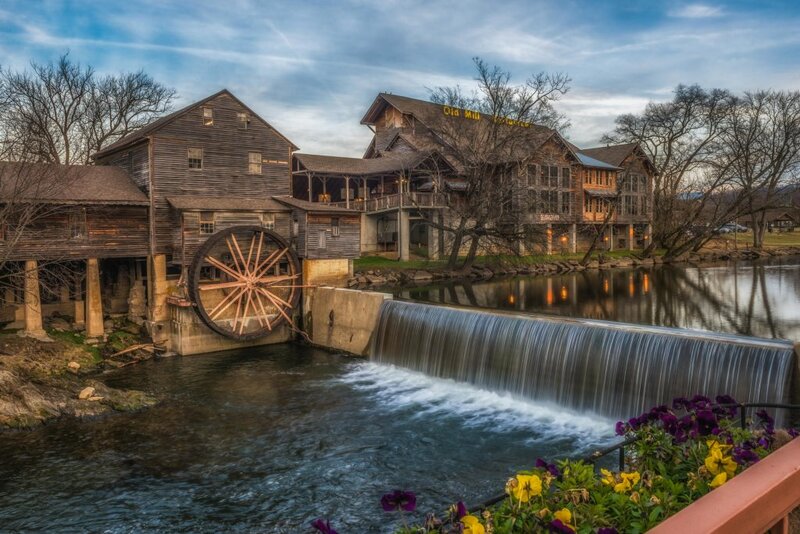 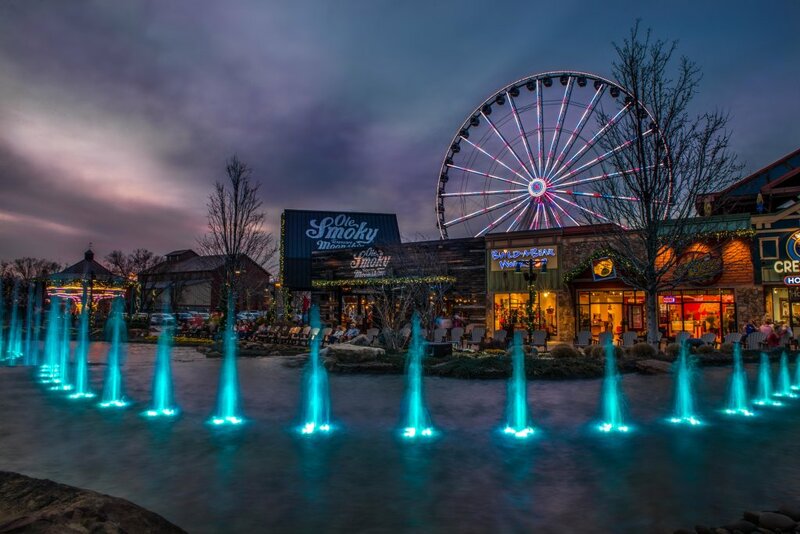 You're only six miles away from the heart of Pigeon Forge, home to the popular Dollywood entertainment park and the Titanic Museum. 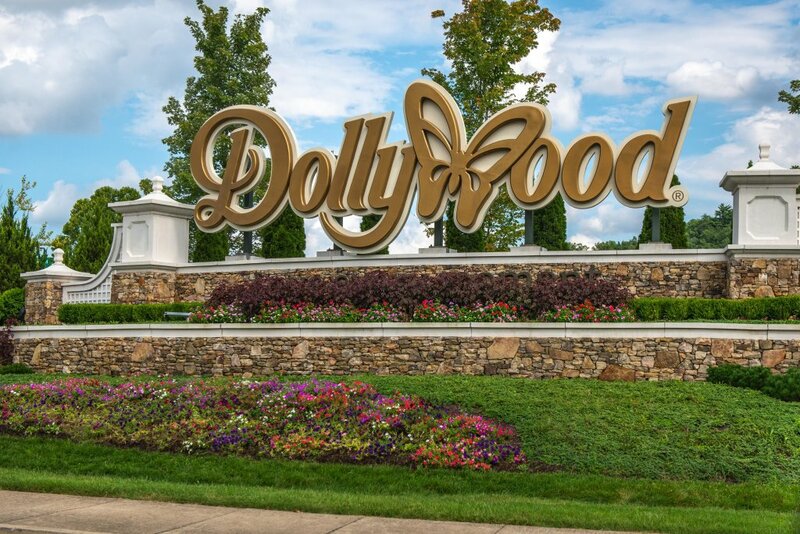 Tour the halls of the Hollywood Wax Museum before dining at the Hatfield & McCoy Dinner Show. 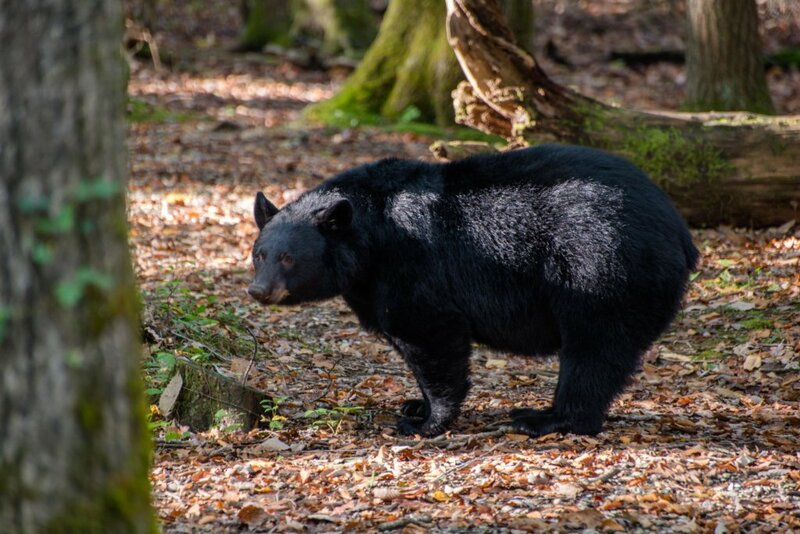 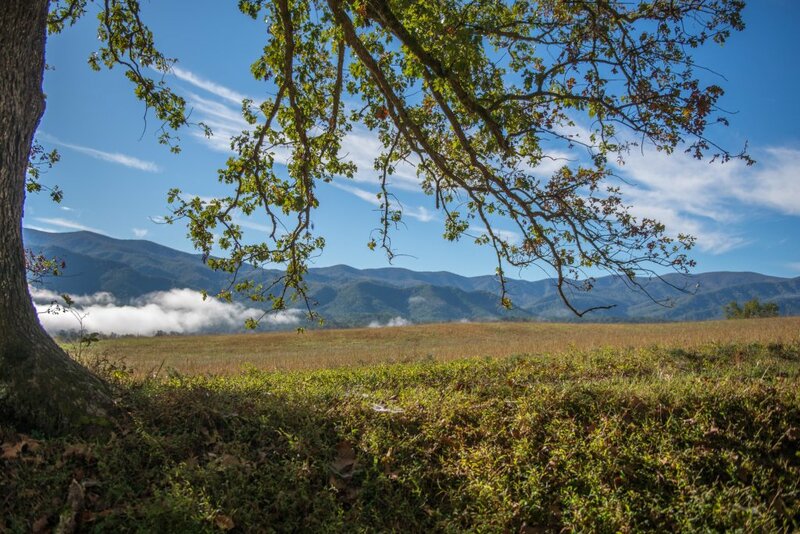 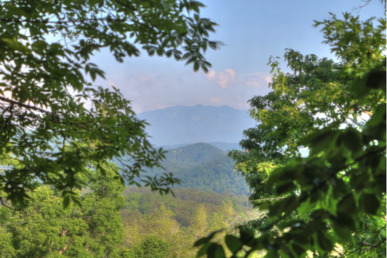 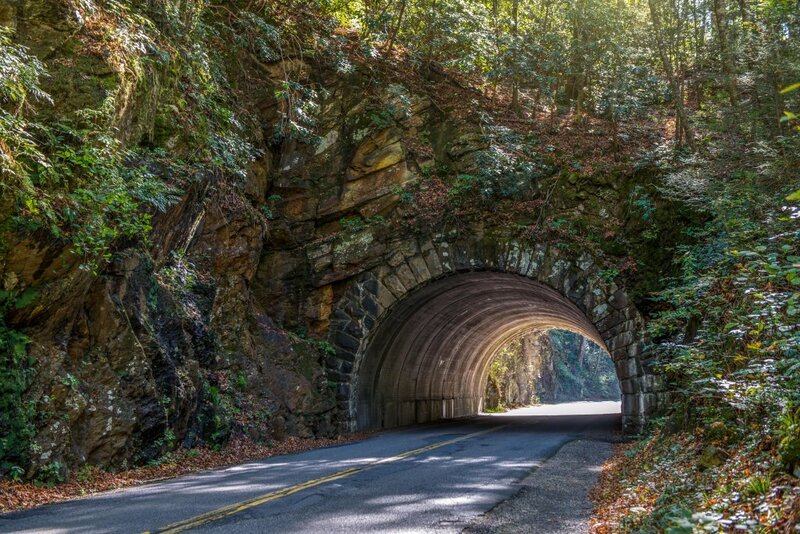 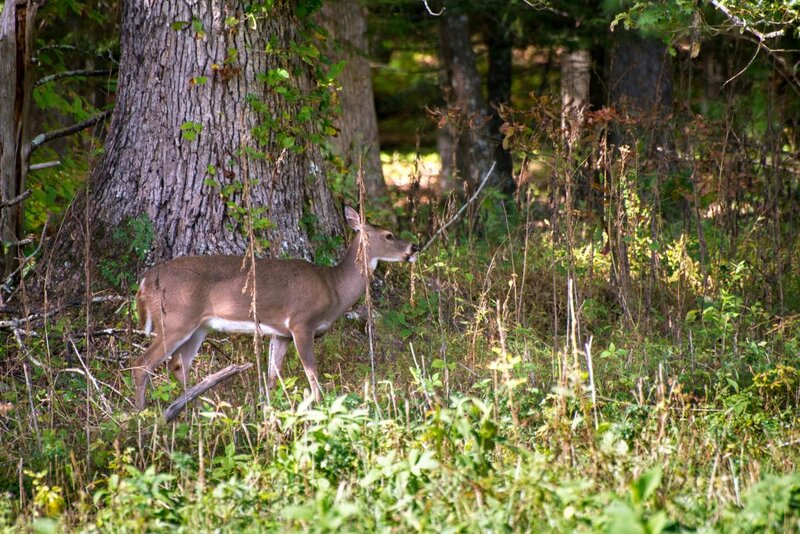 If you're up for a hike through the Tennessee hills, the trailheads of Great Smoky Mountains National Park are 17 miles from the home.